Diamonds are a girl's best friend in any form! 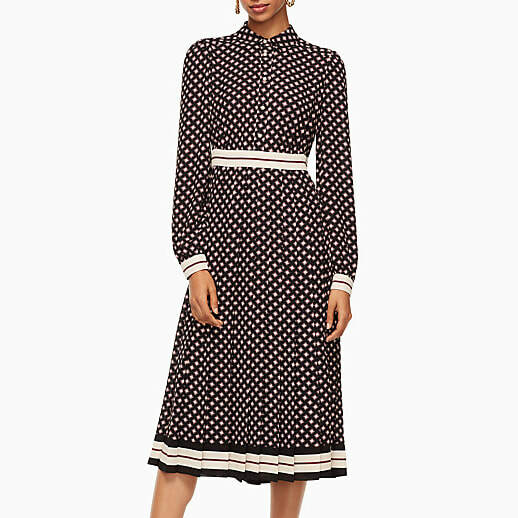 This diamond patterned shirtdress has a pleated silhouette and long blouson sleeves. 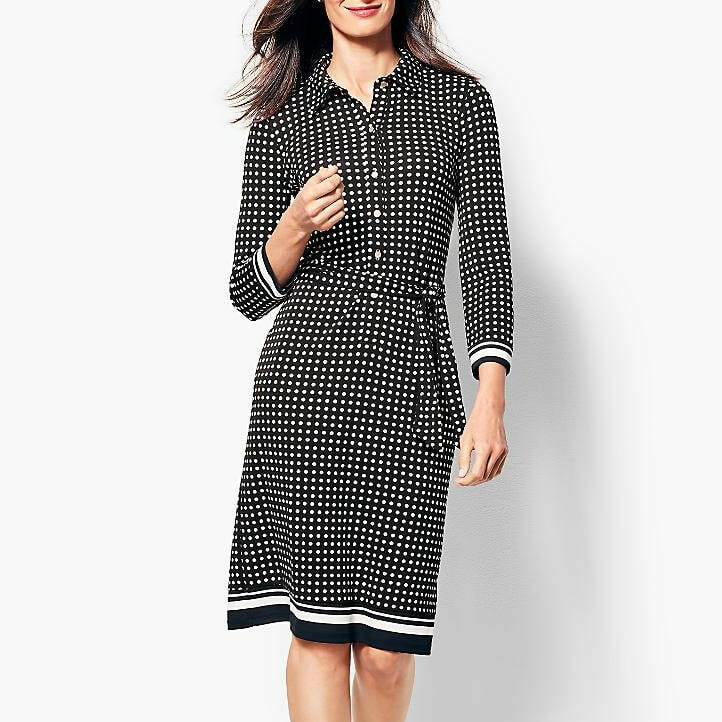 Striped panels at the waist, cuffs and hem offset the small print. 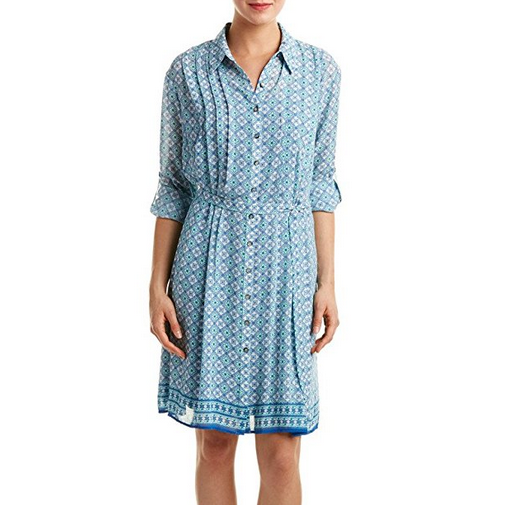 STYLE FILE: Kate Spade New York Diamond Print Shirtdress as seen on Kate Middleton, The Duchess of Cambridge.